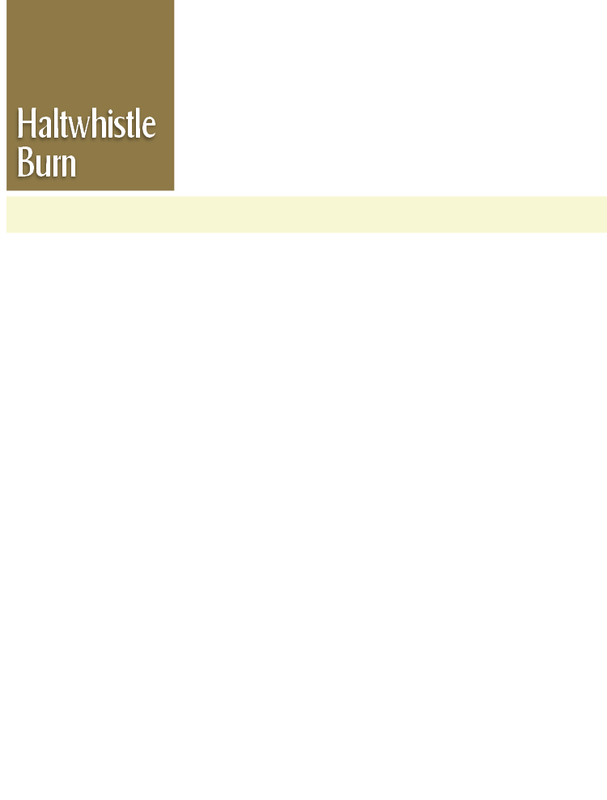 No-one is quite sure when coal mining first began up the Haltwhistle Burn. Certainly by the mid 1600s Coal mines and seams of coal are mentioned in Lord Howard’s (Belted Will) household books. This would have been the removal of coal from near the surface often from Bell pits. Here a small pit was dug down to a seam and then excavated outwards in all directions leaving a shallow depression . These can still be seen in the fields surrounding the Burn . 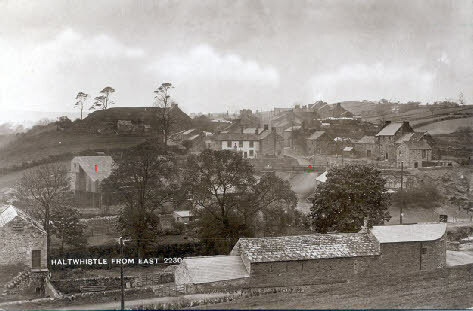 By 1760 we have the names of some of the colliers working in the Haltwhistle area and we know that by 1837 the pit at the north end of the Burn was producing coal from galleries reached by the drift entrance which can still be seen beside the Fell Chimney. This may also date from this period. Mining here would have involved working in very shallow galleries, dragging out the coal in baskets, although later a steam driven engine house was installed to pull out the coal on an endless rope hauler. A photo from this time shows a busy little pithead with boilers and wagon-ways, the positions of which can still be traced. The remains of the engine house still stand to waist height and the position of the cables of the rope hauler can still be seen leading down towards the drift entrance. In the 1840s the coal rights were bought by two entrepreneurs, John Fawcett and Wylam Walker, and became known as The South Tyne Coal Company. Their main workings were reached from a drift at the big bend in the Burn, some 1Km south of the Fell Chimney. The entrance to this mine can be seen clearly beside the Burn. In 1906 a 500 foot shaft was sunk to reach deeper coal. 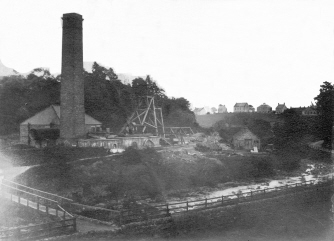 Photographs of these workings, which were about 300 metres further down the burn, show a square chimney (still standing) and an engine house which produced steam to drive the hauler and, later, the first electricity for Haltwhistle. The picture to the right was taken during the sinking of the shaft. 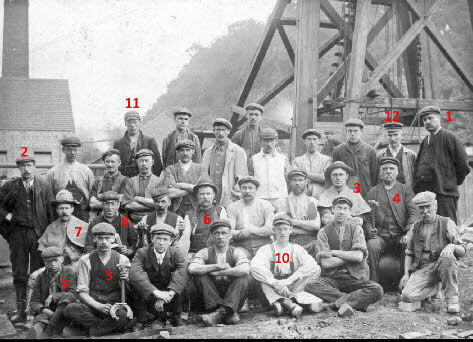 The picture above shows the men who sank the shaft of the South Tyne Colliery. Each man holds the tools of his trade. 1. Viewer, Surveyor or Deputy Manager 2 Deputy 3 Shaft Sinker 4 Engineer / Steam Winder Driver 5 Blacksmith/farrier 6 mason 7 Sinker 8 Carpenter 9 Gofer 10 Mason 11 Overman 12 Engine Driver? The coal was taken by wagons, down the track-way, across the bridge over the road up castle Hill and down to the screens at Town Foot. Here it was loaded onto coal wagons and shunted into the marshalling yards ready to join a freight train on the main line. In 1928, the 600 pit workers were told that the pit would have to close. It was no longer economically viable. They agreed to continue work on a day-to-day basis. 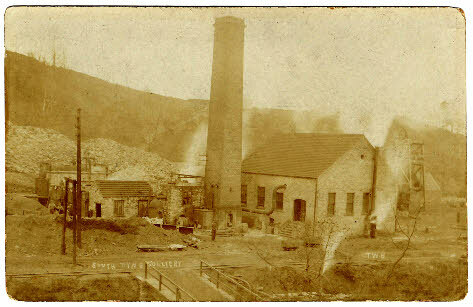 The South Tyne Pit probably during the 1920s. On the 24th September 1931 the pit was closed with the 600 men and boys thrown out of work. Many of these men moved east to work at pits in Ashington and surrounding area. 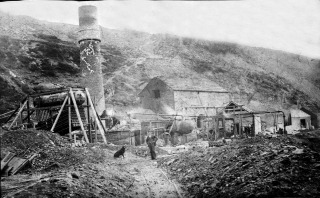 Plenmeller pit closed the same year resulting in around 1,00 men loosing their jobs. The effect on the town and surrounding area may be imagined.